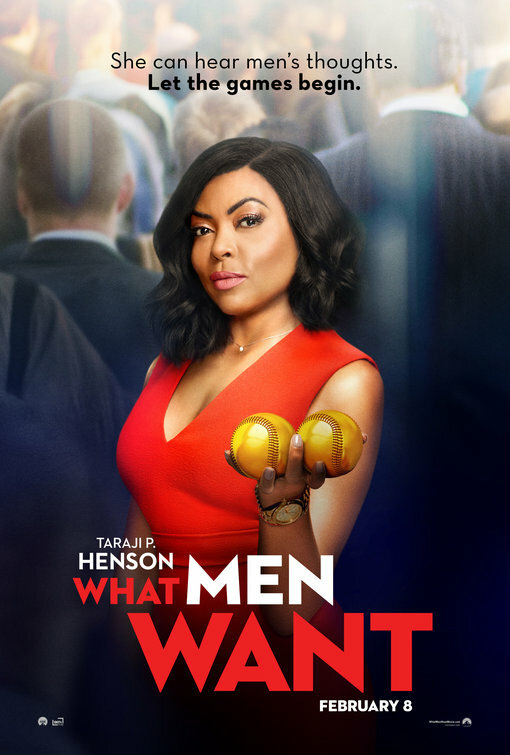 What Men Want fits the bill for those looking for a night-out-no-kids, or night-out-with-friends romantic comedy. Taraji P. Henson is pretty great, while Erykah Badu steals the show as a fast-talking spiritualist. Has moments of humor. A robust cast of recognizable stars. This could have a lot of appeal. Let’s go with “This is not a good movie” for $500 Alex. Overly long, scattershot with humor, and completely bungling its premise in many different ways, What Men Want may have its apologists, but we should really demand better. Like most mediocre romantic comedies, the movie tries to please every single potential viewer in its audience; rather than tell a solid, decently constructed story. One thought that came to mind watching Taraji P. Henson power her way through What Men Want, is how fearless an actor she has become. Whether vamping it up on television’s “Empire,” or playing proud, uncompromising women, coming into their own, in films like Hidden Figures, Hustle and Flow, and The Curious Case of Benjamin Button, she always finds a way to make us care deeply about the characters she is portraying. 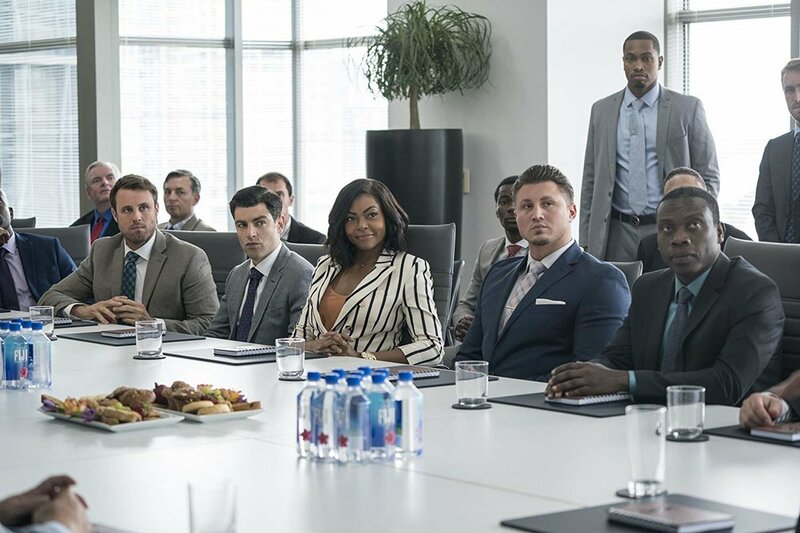 So we should not be so surprised to find Henson working really, really hard in What Men Want; an unwieldy, sloppy, hard-charging romantic comedy about a singular female sports agent navigating and surviving in a “Boys Club” male-dominated corporate world. Based, largely in name only, on Mel Gibson’s 2000 film What Women Want, Henson’s Ali Davis is going to sip some curious tea, provided to her by a psychic named Sister (Erykah Badu, stealing the show here), then smash her head into a table at a bachelorette party. When she awakes, she can hear any man’s internal thoughts. As advertised in the trailer, those thoughts are seldom sweet or sentimental, and more vulgar, bizarre, and entitled. Where Gibson’s film doubled-down on gender dynamics and expectations, writers Tina Gordon, Peter Huyck, and Alex Gregory start in a similar place, but widen the scope to include boardroom politics, emotional manipulation, disloyal friendships, and a woman so caught up in her life and career, she steamrolls everyone around her. This includes a loyal and trusted assistant Brandon (Josh Brener) and bartender Will (Aldis Hodge), a single father who she meets for a one-night stand, but calls back to help her try and close the deal with prized NBA prospect Jamal Barry (Shane Paul McGhie). Directed by Adam Shankman (Rock of Ages, Hairspray), Henson is game to explore all the different angles What Men Want throws up on the screen. However, Shankman’s inability to maneuver an audience through comedy, romance, drama, and sentimentality leaves us gasping for air, as we attempt to make sense of Ali’s Tasmanian Devil-style approach to her life. There is plenty to chuckle at though, largely because Henson is so willing to do anything asked of her. Ali is a formidable presence in and around her sports agent colleagues, and the narrative is set in motion when she is passed over for a promotion to partner by her boss Nick (Brian Bosworth). The fact that Eddie (Chris Witaske) gets the spot over her rightfully angers her, and Nick’s argument against her not landing athletes from the “Big Three” (the NBA, NFL, and MLB), when she signs multi-million deals with athletes from across the sports world, only underscores a culture where women must work twice as hard as a man does to prove themselves in a male-dominated work environment. However, any positive success the movie finds is quickly undone by failing to execute on its basic premise. Largely, what Ali hears is meaningless and is little more than a replacement for conventional dialogue. Other than a few cheap gags and laughs, we never hear anything significant, once she lands her special abilities. Sure, she swoons when Will tells himself how she is the most beautiful woman in the room and gets to play matchmaker when she learns of Brandon having a surprising secret admirer (Pete Davidson). And yet, What Men Want squanders the chance to make men’s self-absorbed and empty thoughts say much of anything. If we really want to introduce the idea that Ali can learn how men think and swim her way upstream through the corporate waters and make her way to the top, then let the comedy of the shallow and emptiness reign supreme. And yet, oddly enough, for an R-rated rom-com, What Men Want plays things, well, pretty safe. The connections the film makes are so lazily constructed, we know precisely everything we need to know about this movie once Eddie lands the promotion over Ali. Henson, ironically, similar to her character in the movie, must work twice as hard to make us care about anything happening on screen. Henson is great, Badu owns her screen time, and there are some nice, fun performances scattered around the film. However, with shabby editing, simplistic scripting, and our ability to know precisely how the film will wrap up around the 10-15 minute mark for a nearly two-hour movie, What Men Want proves to be about as inconsequential as most of the thoughts Ali hears throughout the film. Starring: Taraji P. Henson, Tracy Morgan, Aldis Hodge, Josh Brener, Erykah Badu, Shane Paul McGhie, Richard Roundtree, Wendi McLendon-Covey, Tamala Jones, Phoebe Robinson, Brian Bosworth, Max Greenfield, Jason Jones, Kellan Lutz, Chris Witaske, Pete Davidson. Based on the film “What Women Want”, written by Josh Goldsmith, Cathy Yuspa (screenplay); Josh Goldsmith, Cathy Yuspa, Diane Drake (story).